Includes unlimited streaming of Roses In The Sky via the free Bandcamp app, plus high-quality download in MP3, FLAC and more. Roses in the Sky was a happy time. I just came back from Germany. I had not been there in eleven years. 1994 had just started and this time I had a large studio space, large enough for a white dove. My dove was very peaceful and tender. I learned a little patience from her. When she was sitting in the flower pot, I would put my finger out for her to climb onto. It took some minutes before she put one foot on my finger, all the while looking at me, and then, a minute later she put the other one. A magical and peaceful time. I was living with a wonderful friend and photographer Shoshana Korson and she was taking the pictures and Steve Fischer's graphic design completed the album art. The house I was living in was surrounded by Redwood trees. As I was recording 'The Meadow,' I went on the little wooden balcony which was thirty feet above the ground and spread my arms to touch this tall young Redwood tree. I closed my eyes and did not know if the balcony was moving or the tree. With closed eyes you might as well have been on sea holding onto the mast of a ship. I hoped to gather strength, inside, connection and deeper feeling. I meditated like that for a while and then I went inside to record the two classical guitars that you can hear on 'The Meadow.' There is a part called the 'Meadow of the Unicorns.' In those days I was driving up to Mount Tamalpais and would hang out for inspiration. One day I came across this meadow, one tree on a little rise and there was fog in the air. I added a little fantasy and that's how I got the name for the fifth part. 'The Meadow' is a six part song over sixteen minutes long. Its something like a musical story set to nature. Roses was finished when Terry Lee and his brother Skip Knierim showed up to lay down some percussion and bass tracks on 'Newland' and on 'Love Forever.' 'Love Forever' got picked up by Country and Western radio stations. The twelve string guitar was the foundation for this song. 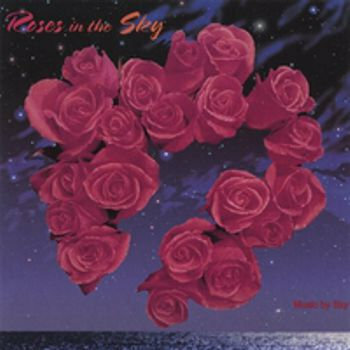 Roses in the Sky was published in May 1994 and I started to tour and left in October, heading across the country to the East coast and back to California. Roses in the Sky keeps on being one of my favorites. Recommended highly.